Mariel Belanger is of the Okanagan Nation, Okanagan Indian Band, Vernon. Mariel describes herself as a multi-disciplinary artist dedicated to contributing in the Indigenous community. Mariel has completed a college diploma in Media and Communications Foundations. 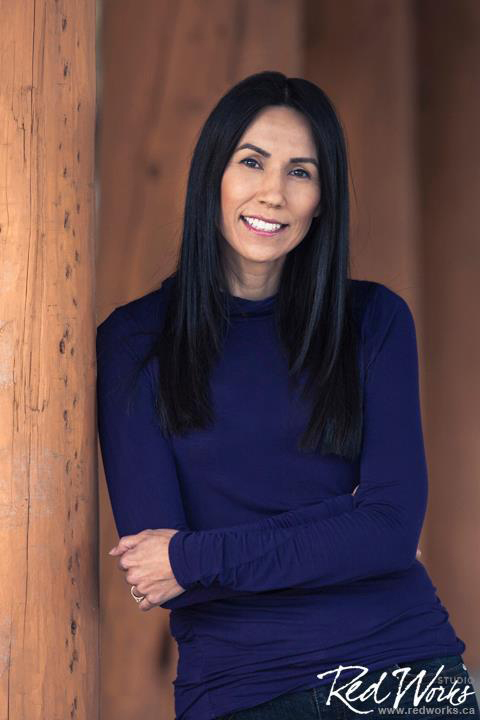 Mariel is a graduated of the Enowkin Centre’s National Aboriginal Professional Artists Training program where she received the First Year Media award, the Professionalism Award and Creative Writing Award for the NAPAT program. She directed two films which won at the Cowichan International Film Festival for “Best Documentary” (2008 Mothers Milk), “Most Promising Film Maker” and “Best Actor” (2007 Wayward Soul) As a member of the Ullus Collective, Mariel has created media instillations for Women in the Okanagan (2012) featuring Xixutem a story of revival, GeoTag Art featuring “A song for Tigerlily” and Picto Prophecy “Reminders for the People”. The place where New Media and Ancient Knowledge meets has opened many new opportunities for Mariel to bring the stories of her people to life. Mariel, being a ‘hand’s on learner’ comes from the artistry her granny displayed when tanning hides and sewing buckskin gloves. Inspired by the digital messages from 1978 recordings Mariel’s passion lies in bringing those teachings of sustainability forward with new life for a new generation.